When individuals face cancer, it can evoke a multitude of emotions including feelings of fear, anger, and sadness. These feelings are normal and to be expected. It becomes a concern when these feelings last nearly every day for two weeks or more, or if they interfere with daily functioning, relationships, or work. This can be a sign of depression. Depression is serious and it is very important to communicate any concerns with your physician. Sharing your symptoms, feelings or what you are experiencing, as well as how often, will help your doctor accurately diagnose and place you on the best course of treatment. Depression can make it very difficult for a person to stay on course with their cancer treatment, so it is essential to get appropriate care. According to the National Cancer Institute, about 1/4 of cancer patients become depressed. Many symptoms of cancer may mask what may be signs of depression. Some of these include changes in sleep or eating patterns, fatigue, and forgetfulness (American Cancer Society). *A person may experience the following that can cause extreme stress and place a person at higher risk for developing depression. It is important to remember that no one needs to go through this alone and help is available. Treatment for depression usually includes medication, counseling, or both. 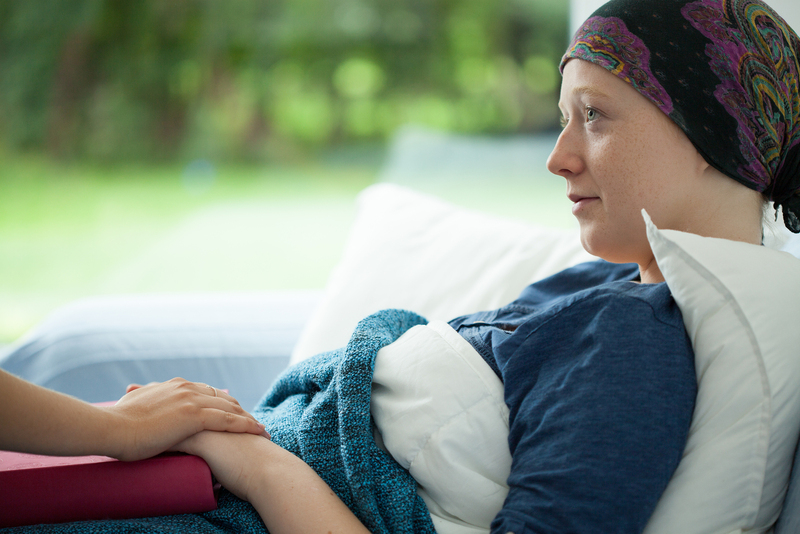 Therapy groups for cancer patients may also be helpful and provide additional support from others who may share in similar experiences. Exercise, eating healthy, getting adequate sleep and staying involved in enjoyable activities can also be very beneficial for both physical and psychological wellness. Talking to trusted friends and family members and informing or involving them in your treatment plan, can give you much needed love, care and support. For additional information on depression management, click here. *Information provided by the National Cancer Institute at http://www.cancer.gov/about-cancer/coping/feelings/depression-pdq.